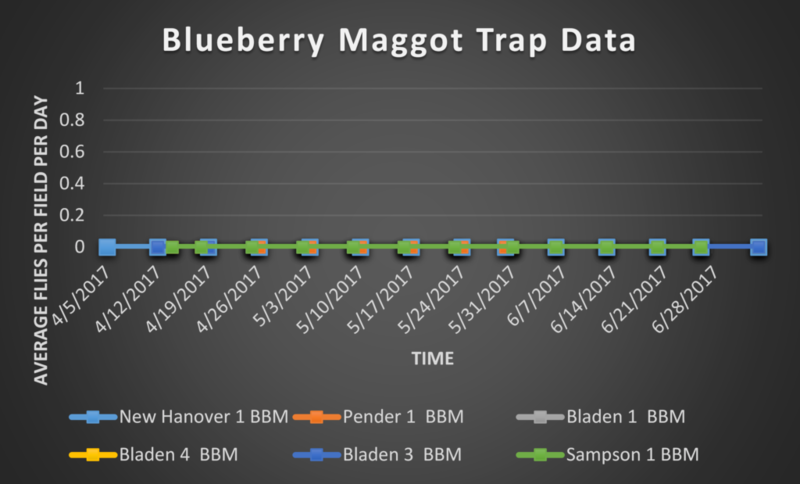 This is the last blueberry monitoring report for 2017. 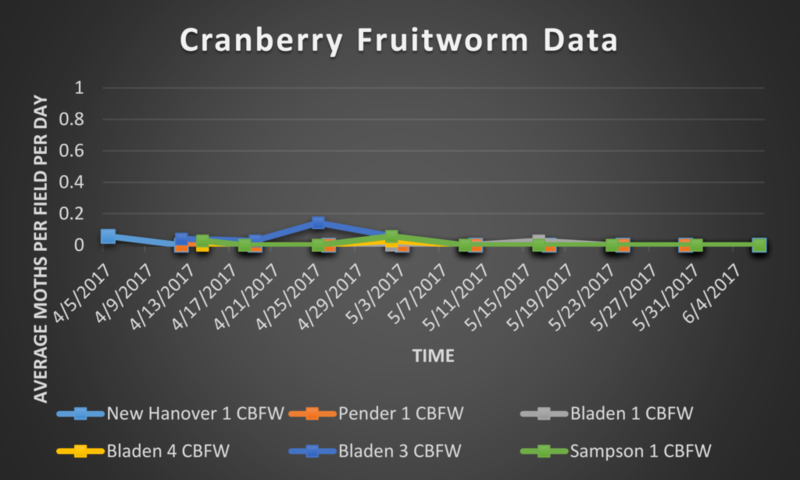 All of the samples have been processed and the data updated and entered. 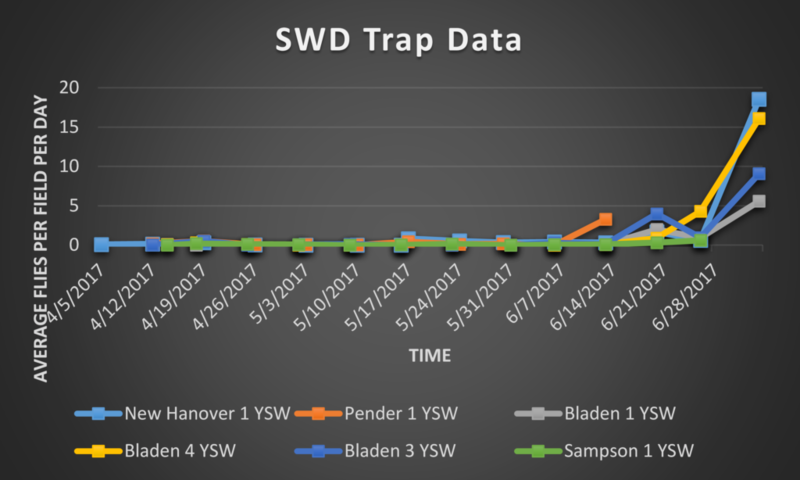 There were large spikes in trap captures at all of sites that were still being monitored for target pest activity. 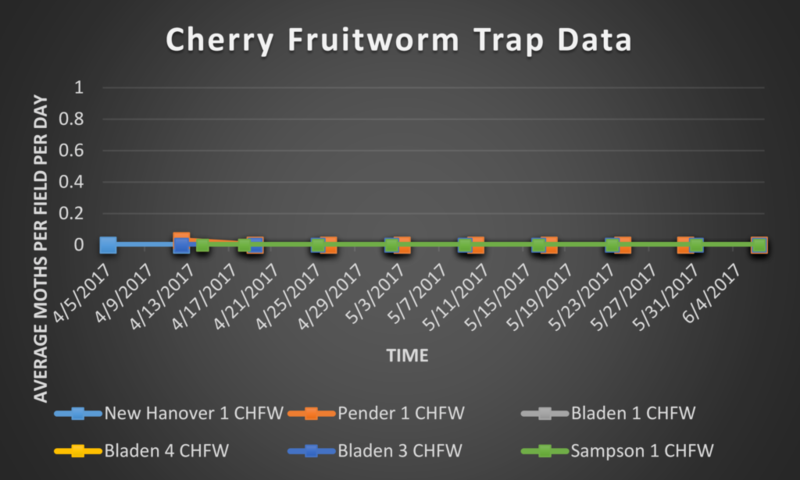 This was not unexpected due to the precipitous decline in fruit availability over the last two weeks of trapping. All moth traps were removed from all sites on June 6th because the activity period for these insects has concluded. 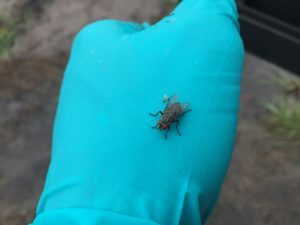 No blueberry maggot flies were found in any traps over the entire trapping period..